According to thisishereford.co.uk, a resident of a Richmond Churches Housing Trust Property in Chessington, England has bird bugs from a Starling’s nest in the house she rents. 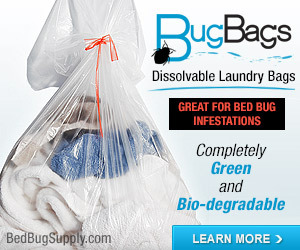 Yes, they’re bird bugs, not bed bugs, but to all intents and purposes, in the absence of a nice bird, they bite humans just like bed bugs do. The housing trust told Miss Johnson that the birds in her loft were starlings, a protected species, therefore they could not be removed without a licence. But last Wednesday, after she told the trust that she had contacted the Surrey Comet, sister paper of Local London, a workman came round and removed the nests. Yet the bugs remain. Miss Johnson said the pest controller told her the ant-size pigeon bug adapts to the life of a common bed bug when necessary, and when it bites it takes 10 times more blood than a mosquito. She believes they have come through the vent in her son’s room from the loft, above his head. “He was screaming and had these big red bites,” she said. When Miss Johnson moved into the flat in July 2004, she had heard a rustling in the loft but the housing trust told her it must be squirrels. Ian Watts, managing director of Richmond upon Thames Churches Housing Trust, said the trust was only told on April 2 that the bugs were not bed bugs – which are the tenant’s responsibility – and were to do with to birds in the roof. On April 3 and 4 workers removed the birds, and will make a permanent repair to their entry point “in due course”. The local laws are apparently such that bed bugs are the responsibility of tenants, whereas bird bugs are the responsibility of the council (local government). 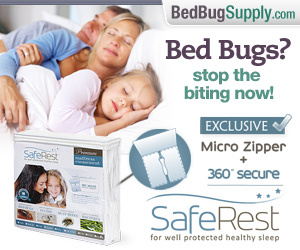 This seems absurd to me, since bed bugs, bat bugs, and bird bugs are all the same problem, biting you in your home. Somewhere in my searching online, I found something that said that “bed bugs” could be found on barn swallows and starlings..and of course bats. What the article probably meant was that they may have been of a different strain…however, they are known to leave the nest of a bird or bat and take up residence in a home and go for human blood. Some months back there was a man on the Yahoo post whose wife was being bitten so severely she was hospitalized…We all helped them out. 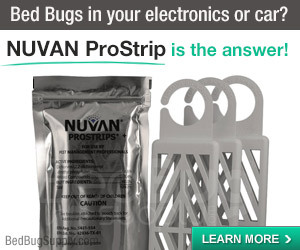 He contacted me and it turned out their bugs were bat bugs…Its a strange phenomenon that I personally never heard of before until this recent bed bug outbreak. 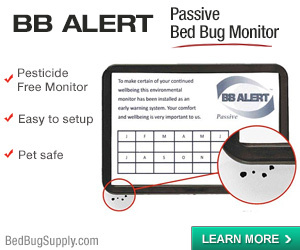 In my last home I had barn swallows nesting above my entrance door..every Spring…Now I wouldn’t allow this…but the point is that bugs, no matter where they start off…if they end up in a persons bed and home, sucking human blood, they have now changed their habit from nest to bed and should be reclassified as a bed bug! .The above article is indicative of dealing with an ignorant and short sighted bureaucracy. I have a similar problem in the Uk with bird mites which infested work and then I brought them back to my home and have had to try and get rid of them as they took over. In relation to bird mites, there is a great US website birdmites.org which gives advice on how to tackle specifically bird mite problems. 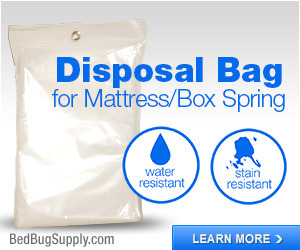 Another great blog is shanspirations again it’s a bird mite blog, not a bed bug blog. 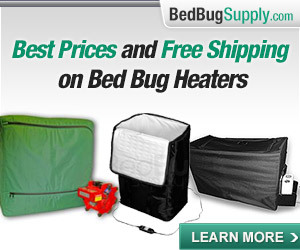 There are similarities between how to get rid of mites and bed bugs but the pain in the neck difference is that the mite is difficult to see and to identify. I can’t wait for life to get back to normal and for the blighters to have gone once and for all! 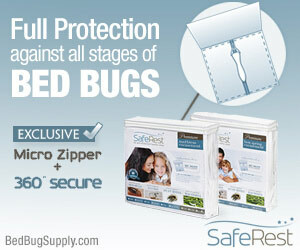 Bird mites can be treated, but must be treated differently by a PCO than bed bugs. They also can be identified by an entomologist (or so Lou Sorkin tells us) but you might have to take samples with tape that are not very easy to see with the naked eye. Good luck, bird mites sound horrid too. The advice given and remedies shared at shanspirations are reckless, reckless, reckless. It has to be said for the benefit of anyone who searches for or wanders onto this thread. Seriously. We must always consult professionals, always first attempt to have the pest identified, and never use toxic substances in the manner these people do. Ursula’s recommendation above cannot be endorsed. When people describe “invisible biting mites” that can’t be seen that are “constantly crawling and biting on the skin,” I think it is fully possible they may have bed bugs. 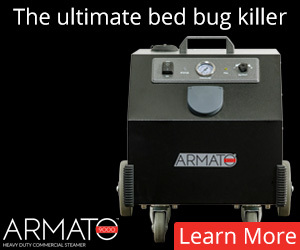 We know bed bugs cause formication, the sensation of bugs crawling on skin, and that bed bug bites often feel like one is being bitten–but not when one actually is being bitten. 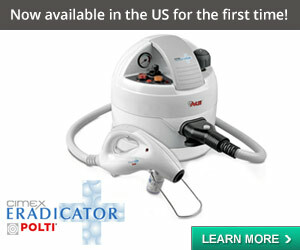 If you think you are being bitten by something you cannot see, have the doctor rule out scabies mites and other medical issues. 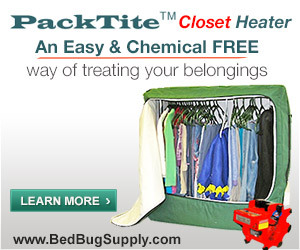 Then have a PCO search thoroughly–both for bed bugs, and bird mites and anything else that might be causing this. 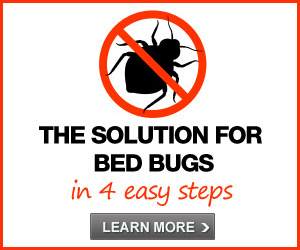 The treatment needed for bed bugs/bird bugs/bat bugs vs. bird mites is quite different, but they can be treated by a PCO. Ditto birdmitesdotorg–it’s not a reliable or responsible source of information and advice. I happened to stumble across this thread, and as a co-writer over at Shanspirations, I can understand your concerns about the recklessness of do-it-yourself treating. I am actually glad you posted this warning because I would only want the most desperate people who have exhausted all other options to consider doing what we did. However, the reason we posted our information was because after we’d consulted with pest control operators, seen our doctors and sought identification, we hit a dead end as many other people with a similar problem have. The doctors said it wasn’t scabies. The PCO said it definitely wasn’t bed bugs, but strangely, he had not in 20 years of experience even heard of bird mites! So we waited and didn’t treat and things got worse and worse. It was a nightmare I could never have imagined and no one seemed to know what to do to help us. No one denied what we were experiencing, but they had no answers. Finally, we followed a mix of ideas and advice from professionals and lay people alike and stumbled upon our answer. Later, we met a PCO who was very familiar with bird mites and who said the things we experienced were entirely consistent with their behavior. The PCO we spoke to was from a different city, but for an extra fee would have traveled to our city and treated for us. Fortunately, by then, this really didn’t seem necessary, for we were doing so much better. When we posted our information, we truly wanted to help others in the same situation as we had been in, those who just couldn’t find anyone to help. We also imagined that readers would have read the prior posts that explained our first steps, our “journey” of sorts. But we never wanted anyone to recklessly follow our solutions who hadn’t taken all the reasonable first steps! I hope nothing we have shared ever causes harm to anyone. 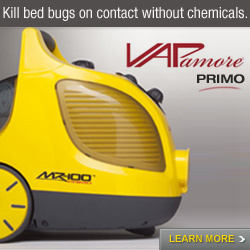 Deep down, it distresses me that the bug information on my site even exists. I never wanted my site to contain any such thing, as I had originally planned the site to be a place to share the joys and educational experiences of my everyday life, not miserable problems that I had never envisioned befalling me. But when things happened the way they did, I made an internal commitment that if God allowed us to find an answer, I would not hide our solution (it seemed everybody and their brother had a poorly written not-so-helpful ebook that you had to pay for, for example). I just wanted to make available what had worked for us. I truly hope that everyone who reads will use good judgment. And that they will take into consideration warnings such as those you’ve written above. Hi Shannon, I really appreciate your comment. 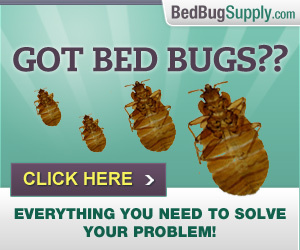 I’m sorry that I was harsh, but I worry and am pained by so many things since my bedbug infestation. I think it’s easy to forget how far-reaching whatever we write on the internet may be. I hope your readers are able to exercise discretion in the face of the very difficult experience of an infestation and don’t have to fight alone. The tragedy of your situation, from my perspective, is that if the PCO familiar with bird mites had been available to you at the early stages, your experience may have been so much better and more quickly resolved. There are national resources for getting bugs identified. If anyone needs information on that, it is given in the bed bug fact sheet of Harvard (which charges a small fee, but I expect most bird mite sufferers would pay to find out what they really had). 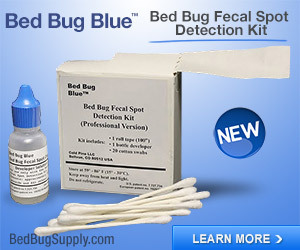 Bird mites and other mites are treatable, and unfortunately all PCOS are not experienced at identifying bird mites, bed bugs, and other issues. 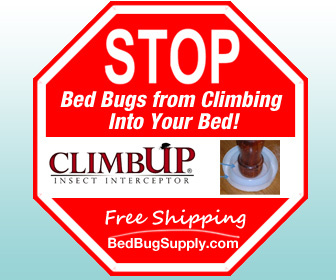 UNtil they are, I encourage anyone who has a mysterious problem not to give up–there will be some doctor or PCO or entomologist who can ID bird mites, rodent mites, bat bugs, etc. and most other conditions. Thanks for your comments. I appreciate your understanding.